Somebody did this while you dreamed... Check the real story of business growth! During the last few weeks, Pokemon Go beat all the records of downloads, making people forget about work, school, and other responsibilities. Let's review together, what is the secret of success of this great business idea. Pokémon Go is a multiplayer role-playing computer game augmented reality of the Pokémon series, which was developed by Niantic and originally released in the United States, Australia and New Zealand on July 6, 2016 for mobile devices based on iOS and Android. Just a week after the release of the game has received a lot of popularity. The main feature of Pokémon Go is the imposition of virtual images on real-world images. 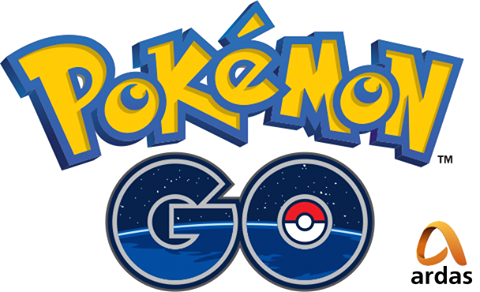 The game encourages people to travel the streets searching and hunting for Pokemons, that will make them to go outside and chat with other players. Thereby, it aims to solve common problems of youth: a sedentary lifestyle and asocial in the real world. Spreading on the model of free-to-play, the game supports the auxiliary, but not optional in-game purchases. The game includes the first generation of Pokemon, including initial: Bulbasaur, Charmander and Squirtle. Within a week, the game became very popular and gained a huge number of downloads. The number of units in the Google Play was more than 10 millions, but the total number was much greater, because the users from unsupported regions downloaded specially hacked version. According to Sensor Tower, at the end of the first week release of Pokémon Go, the daily usage time was more than 33 minutes. This is more than the average daily use of Facebook (22 minutes per day), Snapchat (18 minutes) and Twitter (17 minutes). However, it was not the highest number among mobile applications: Candy Crush Saga and Game of War were played even more. As of July 12, Pokémon GO only for iOS was performed daily purchases by $ 1.6 million in the US, despite the fact that only 5% of players paid. The media quickly began to emerge news about unusual cases connected with the game in the Pokémon Go. For example, the police officers who spent their working hours at "pokestops", a student who was not distracted from the game, even with a knife wound, or like the president of Israel found the Pokémon in his office. Some criminals in the US have used the game Pokémon Go to attract their prey, and a resident of Wyoming, looking for Pokémon, accidentally came across the corpse in the river. The unprecedented popularity of the game led to the emergence of the phenomenon called "pokemonomania" and as a great example of marketing strategy.